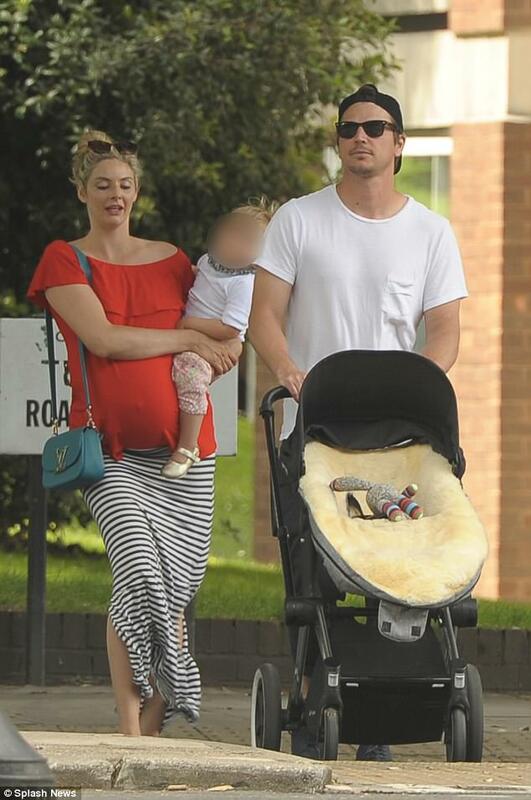 With them was their 18-month-old daughter, whom the glowing Tamsin carried lovingly as Josh strolled along with the pram. Their daughter - whose name remains unknown - held on to her mother and gazed adoringly at her father as they ambled around the capital in the warm June weather. The casual get-up was a far cry from their glam turn out at the preview party for the Royal Academy Summer Exhibition on last Wednesday. The happy couple joined an array of celebrity guests at London’s Burlington House ahead of the event, which serves to promote art and artists through a series of exhibitions and debates, as they enjoyed their night off from Mum and Dad duty.